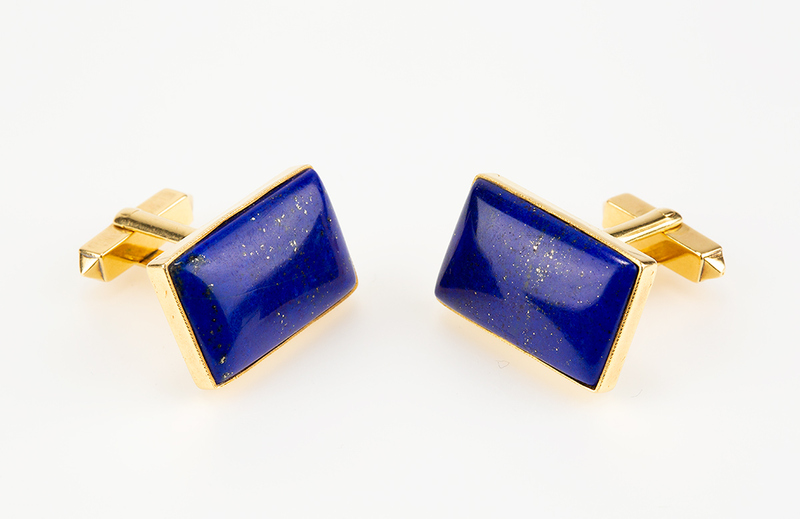 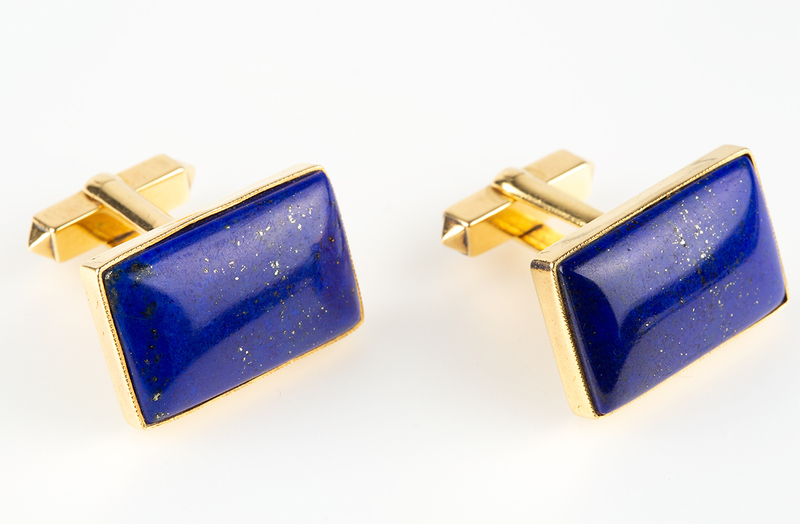 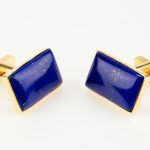 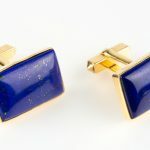 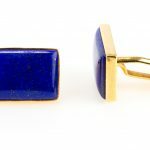 A heavy pair of 18 carat yellow gold cufflinks, set with a fine coloured natural lapis lazuli. 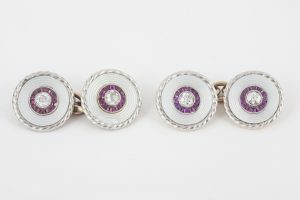 Single sided with a stiff bar and torpedo connection. 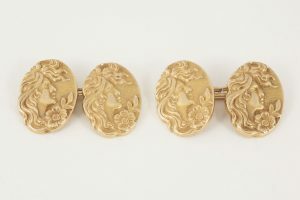 Signed C&F for Cropp & Farr. 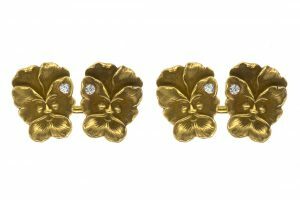 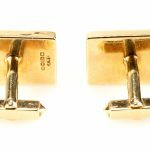 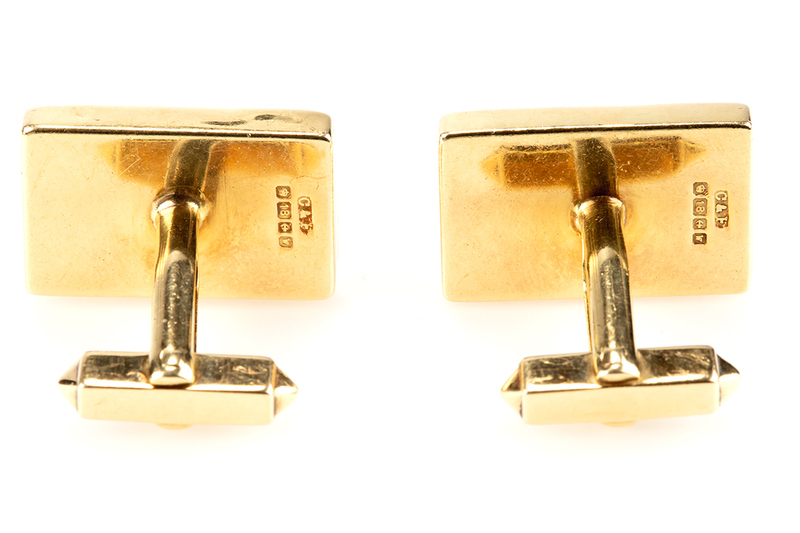 Hallmarked for Birmingham 1971 and for 18 carat gold. 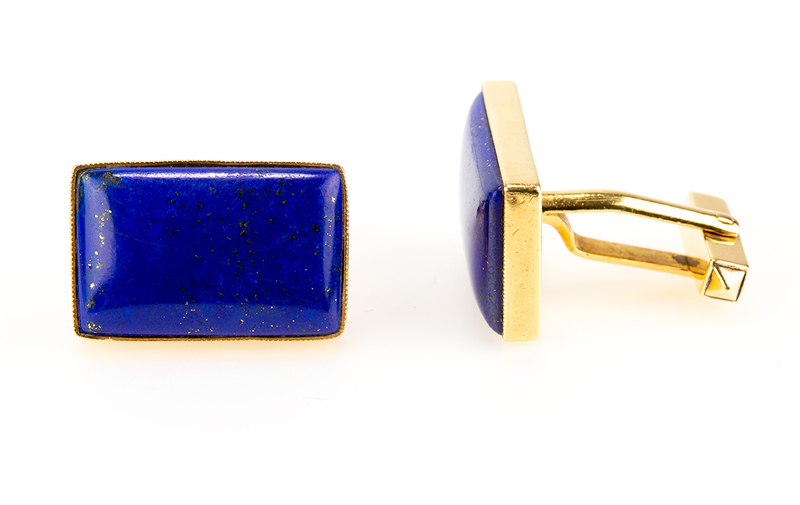 Measures 15mm in width x 22mm in height. 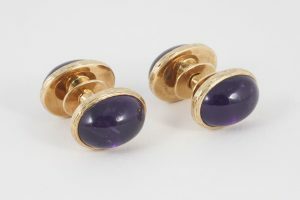 20th century, English (Birmingham) 1971.